Grab your visitors back right when they are about to leave your store and recover sales which you would otherwise lose. This module displays the exit popup when a visitor moves the mouse up to the close button and is about to leave your site. You can set up many exit popups to target different visitor groups. 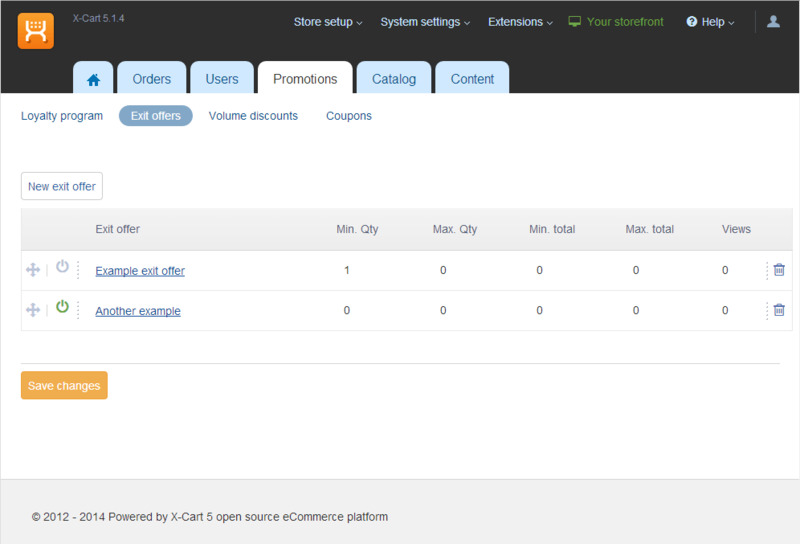 For example, you can create a simple offer for all visitors, and show a bigger discount to customers having items in their carts. 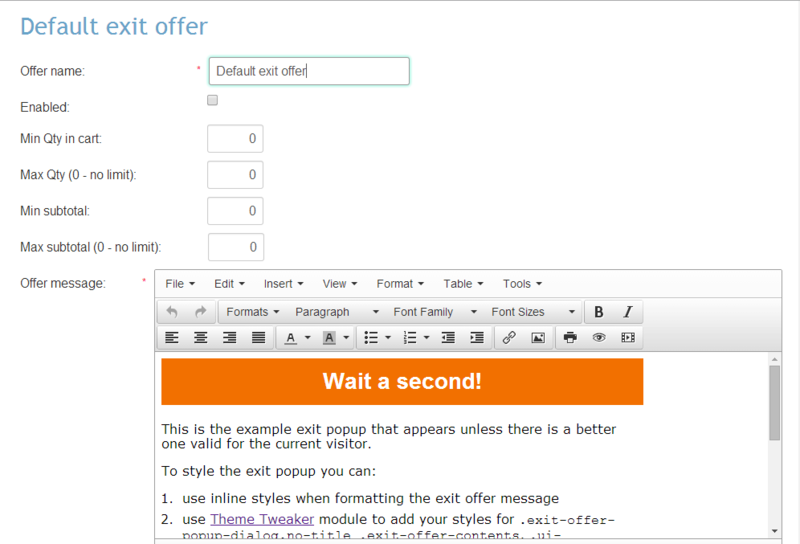 You can use the WYSIWYG editor to design and describe your exit offers. Or use the ability to edit the HTML and CSS code to get even more control over popup styles. 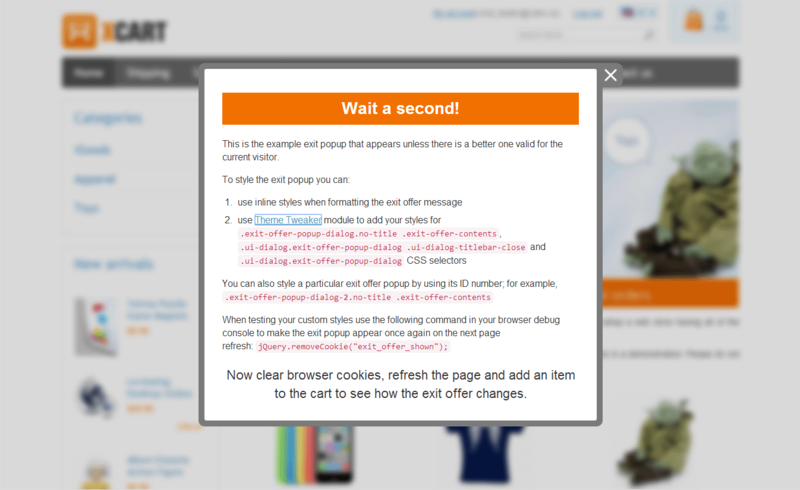 The module displays exit popups inside the current page, not in a browser alert or a new window. Thus browser plug-ins cannot block it. 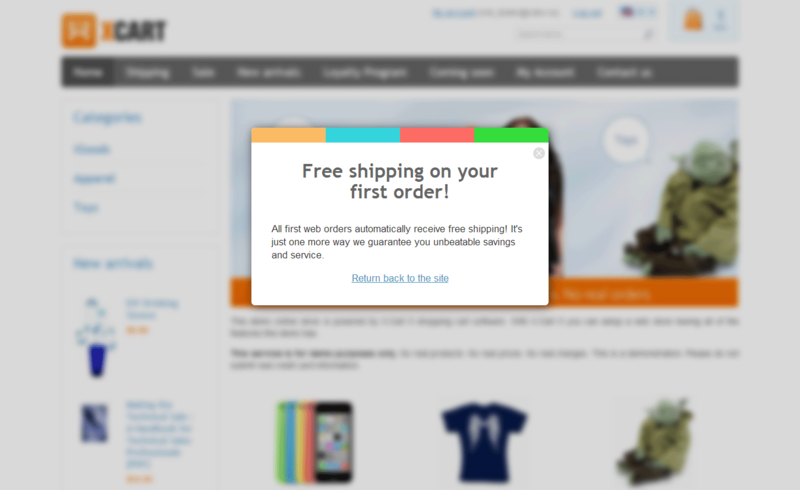 The exit popup neither steals the mouse focus nor prevents customers (not interested in the offer) from leaving the site.